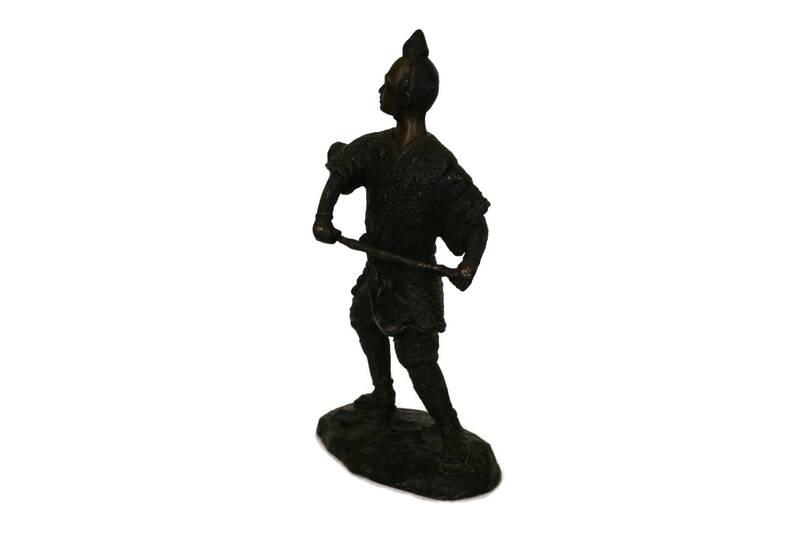 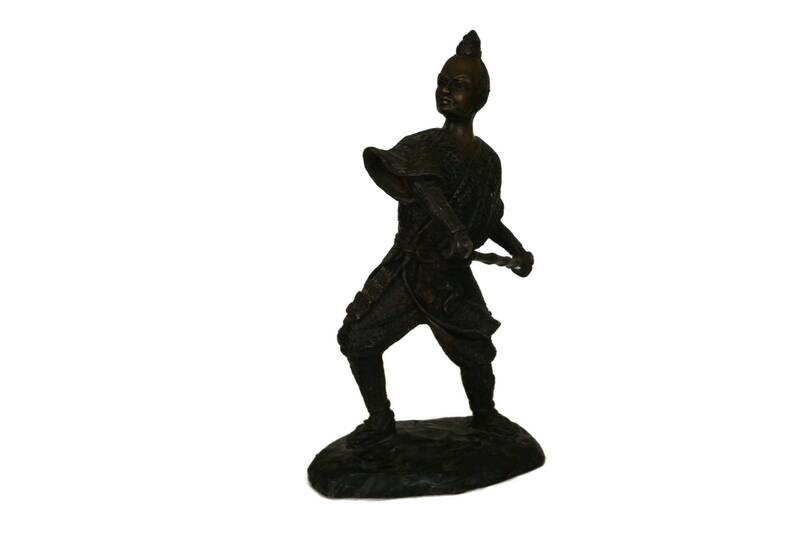 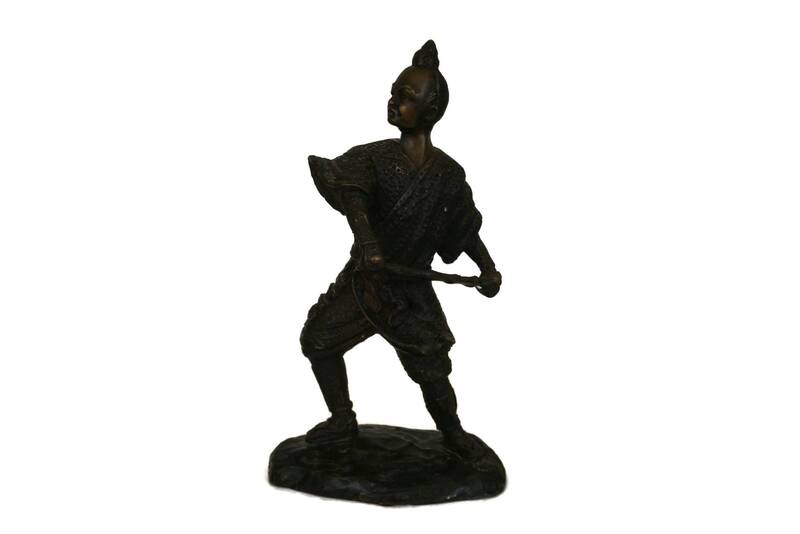 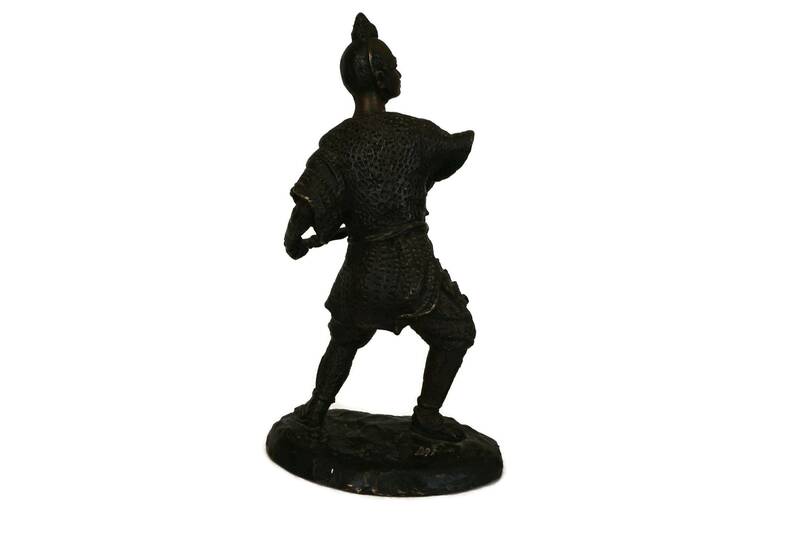 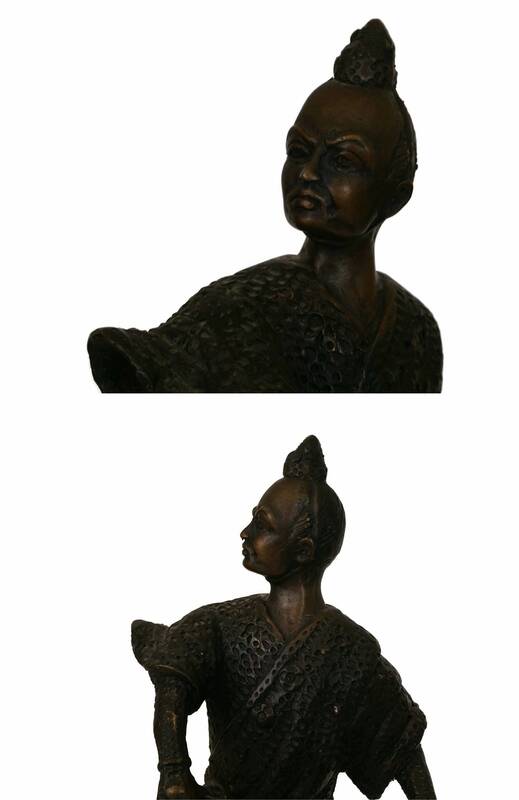 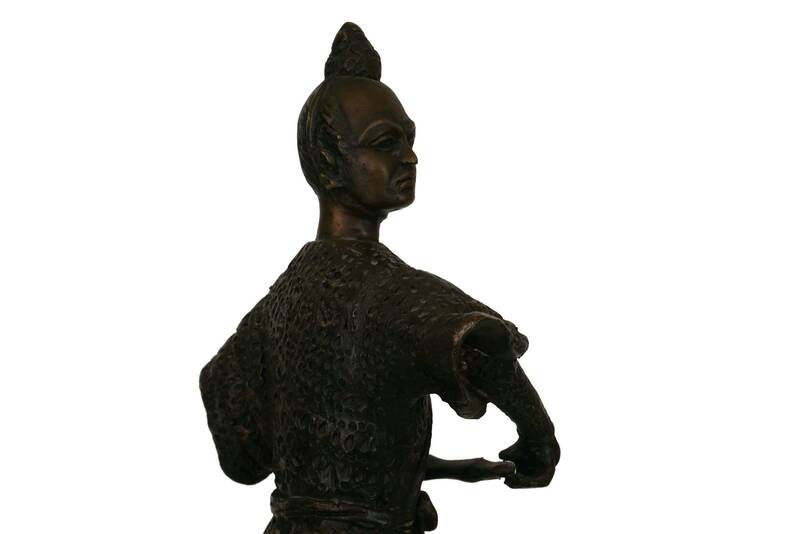 A stunning vintage Japanese Samurai statue cast from bronze with great details. 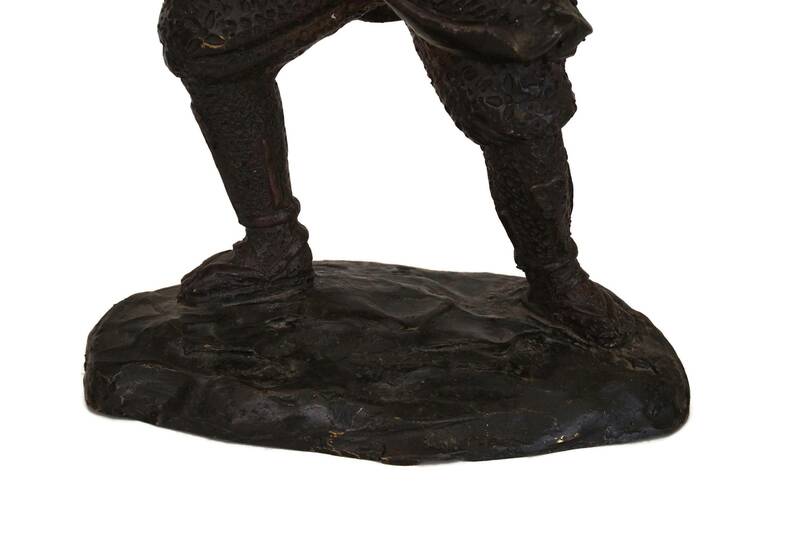 The sculpture has been decorated with an rich patina and features an Asian warrior figurine in a traditional Samurai costume. 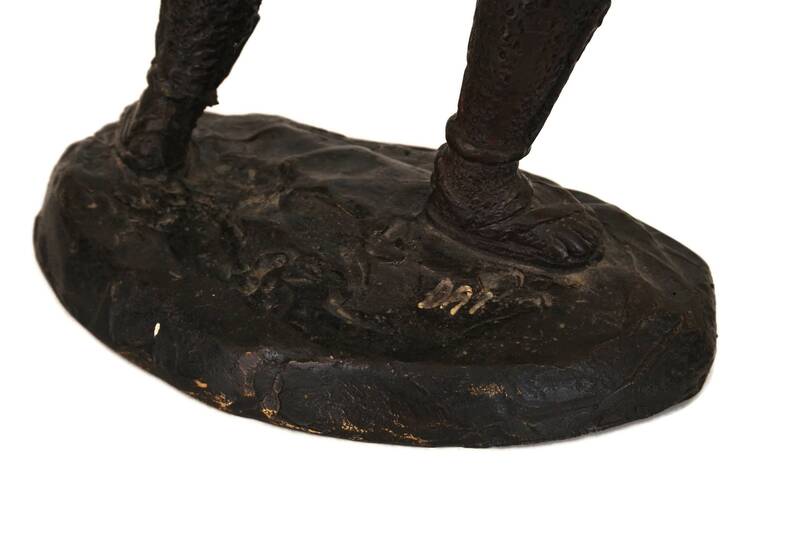 The base of the sculpture has been signed by the artist (to be identified). 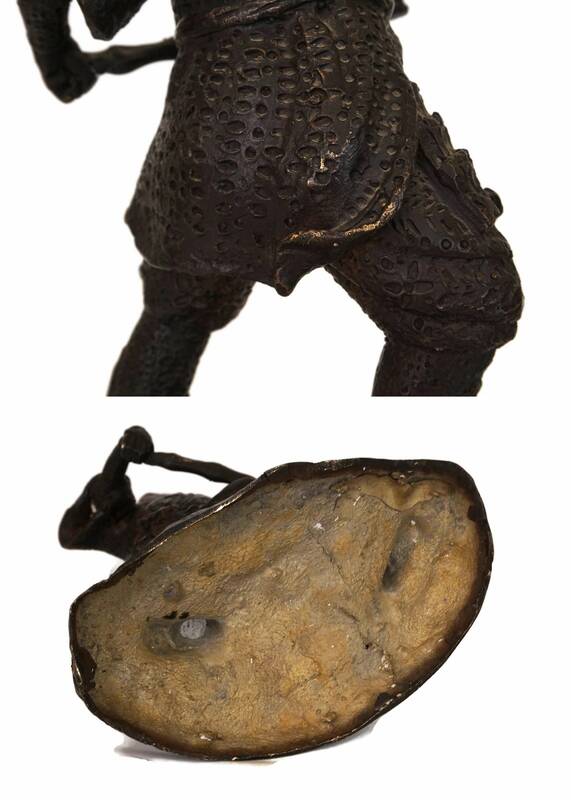 (30 cm x 17 cm x 10 cm). 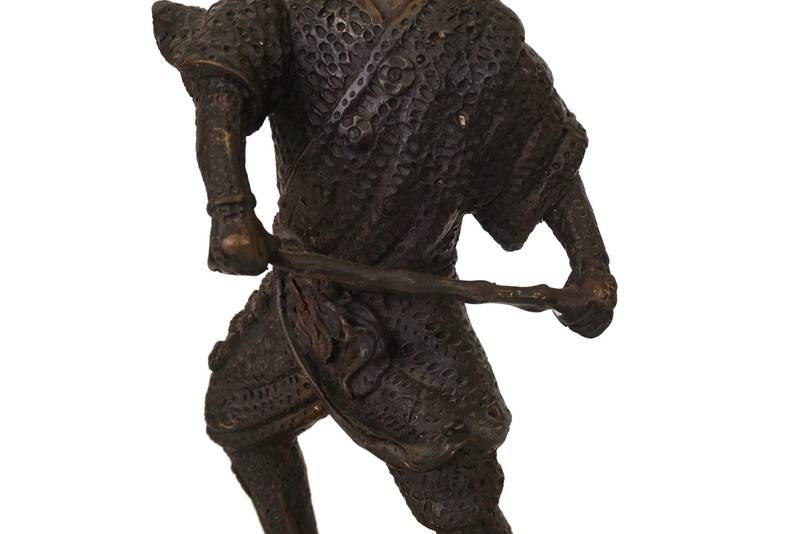 The Japanese Samurai is in very good condition with light surface marks and a rich aged patina.